Mobily telecom offers free 5 GB of internet data for 2 Days to its customers in Saudi Arabia to Celebrate the occasion of Saudi Arabia team's qualification in world cup 2018 hosting by Russia. 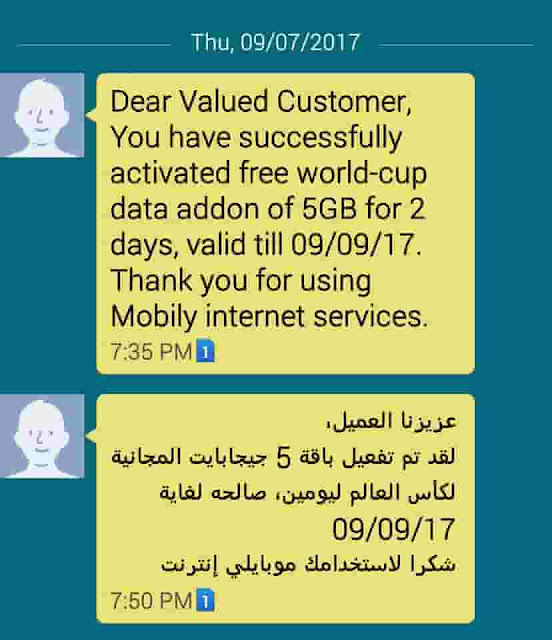 - To get the offer, Send 201801 to 1100 before the end of Friday (8th Sept. 2017) and enjoy the free 5 GB of internet data for two days, The offer is available only for Mobily customers in the Kingdom of Saudi Arabia. 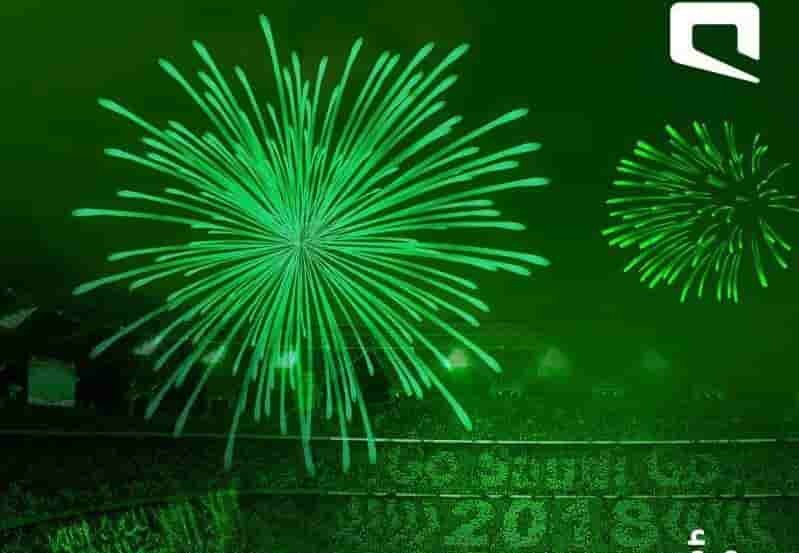 أرسل 201801 لـ 1100 والتحق بالعرض قبل نهاية يوم الجمعة.